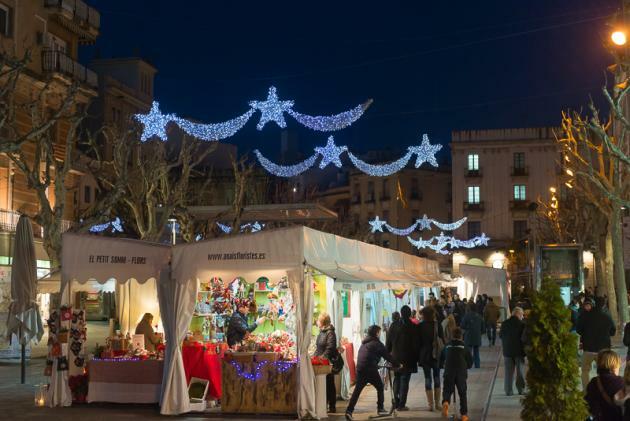 Nativity scenes and Christmas ornaments fair-market | Welcome to Maresme! El Maresme, to enjoy all year round near Barcelona! In this fair you will find everything you need for your Christmas decorations, from Christmas trees—both natural and artificial—to nativity figures, mosses, Christmas lights, corks, colored ribbons, ornamental table centers, Christmas candles and Santa Claus decorations, among others. This fair has become a benchmark for the beginning of Advent and is considered the second most important of its kind in Catalonia, both for its location and the quality of its products.